Stunning home in the heart of West End historic district, including 5 bedrooms and 2 bathrooms. Walk to restaurants, bars, art studios & downtown. A picturesque porch perfect for entertaining. 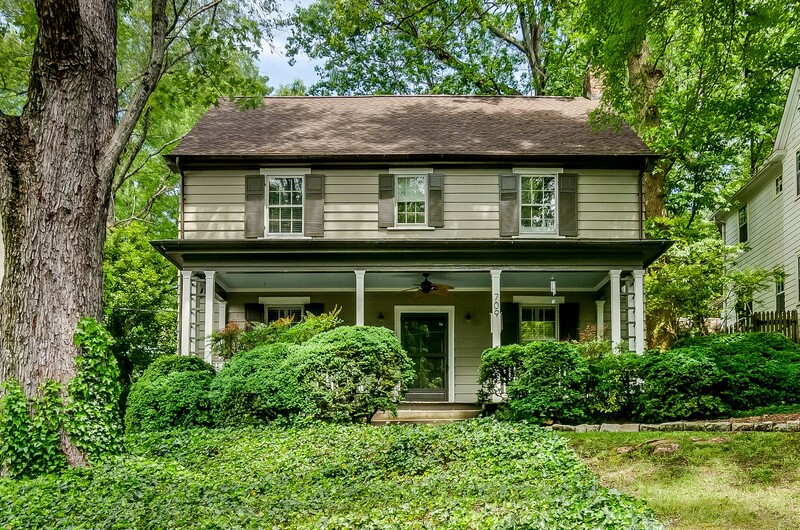 Great rm w built-ins, wood-burning fireplace, & original hardwoods throughout entire home. The over-sized DR & butler’s pantry is ideal for holiday entertaining. Off the bright, cheerful kitchen you will find a sunroom leading to fenced back yard/deck/detached garage. W/D connection on 2nd level & basemnt. MA BR w/sitting area & fireplace & custom closet. NEW ROOF!